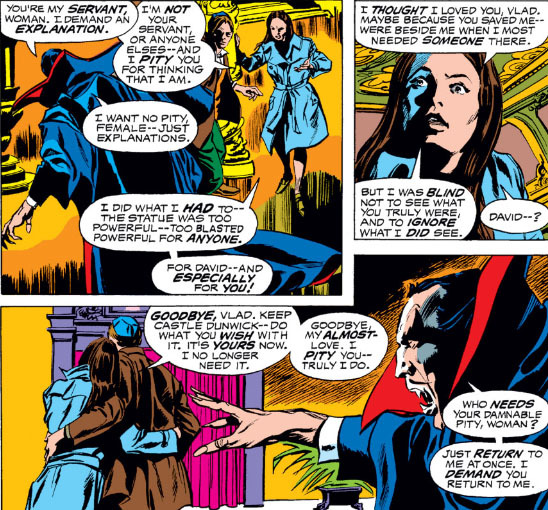 Heroes and villains alike have proven to be vulnerable in matters of the heart, specifically when those matters have involved rejection. Let's take a look at a few of those who were shot down, rendered helpless by a power far greater than their own. Man, when you've had guards sicked on you, you probably realize you could have handled things a little more delicately. Jeez, it doesn't sound like Mantis is ready to let the matter drop. Maybe the Vision should set himself to automatically be intangible around her, just to be on the safe side. Since Dracula practically invented the phrase "payback," you can correctly assume that neither the former object of his affection nor her new boyfriend lived long enough to enjoy their new start. Surely the poster boy for having a death wish. Interesting post, Comicsfan. I suspect most of your readers (me too) have an unpleasant memory of getting rejected at one point or another. Pretty painful. The Dracula sequence was pretty powerful; that whole run was incredible. 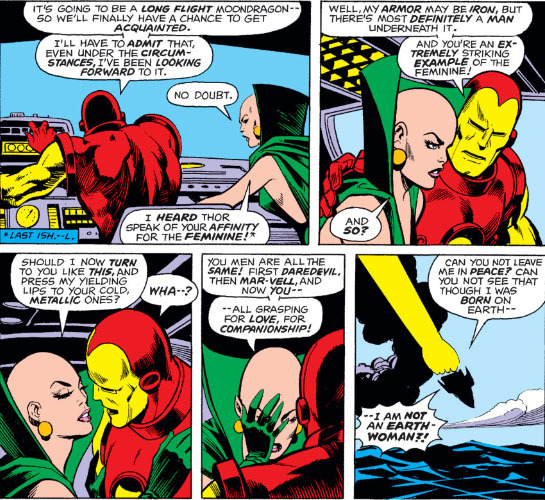 But Moondragon..what a character! Given her origins as a regular Earth girl, beginning as a victim of Thanos and later one of his major opponents, sometimes a hero and other times a ruthless tyrant. She was a "goddess" because she said so. One of my favorite characters from 70's Marvel. Nice compilation of the various romantic ups and downs at Marvel. I still get a kick out of that shutdown by Moondragon. 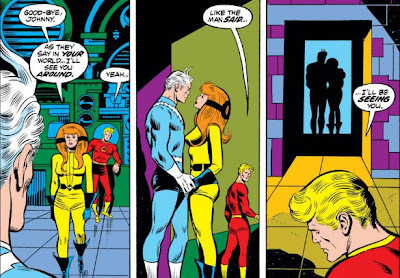 And Mary Jane did seem to toy with Peter a lot before they finally settled down.